This will be a post about the worlds shortest and the worlds tallest man ever documented for 2012. 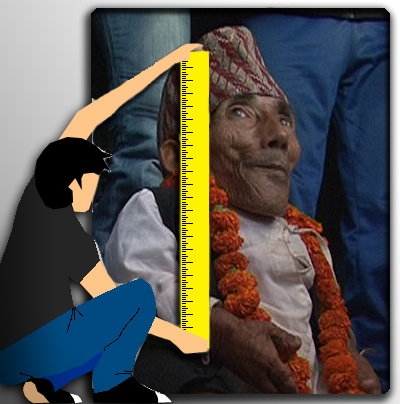 The shortest man of the world is from Nepal and his name is Chandra Bahadur Dangi. 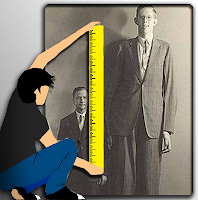 He was measuring 21.5 in or 57 cm only, that's very short, while the tallest man of the world ever documented was Robert Wadlow. Wadlow, born in Alton, Illinois, reached 8 ft 11 in, that would be 2.27 m, by the time he died at age 22.